Jackson Avenue School in Mineola School District uses Spinner in their Spanish class for 3rd & 4th graders. Foreign language learning in the 21st century is changing. Teachers are now competing with a tech-centric world. Keeping students fully engaged has become a challenge. As 21st century learners, students must develop their critical thinking, collaboration, creativity, and communication skills. Teachers are required to integrate a suitable framework for boosting these skills. Classrooms are requiring a higher level of engagement. What is the best way to achieve this? Teachers have played language immersion games in the classroom before. Students must understand the situational context; just like the real world, they must make choices. 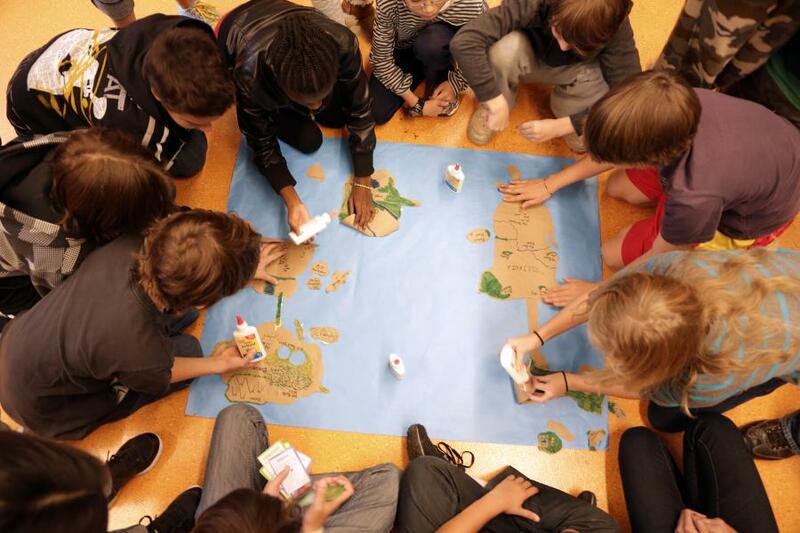 Games mechanics or rule based simulations can enhance the language learning experience. In an collaborative learning environment like SMALLab, timers add that additional element that requires fast decision-making. Players must communication with one another, collaborate, work together. The movement requires engagement. The actions of the players reinforce the learning process. Students at Episcopal School of Baton Rouge use Color Mixer in their French class. Students not only have to know the colors in French, but they must communicate with the other players to let them know when to raise their wand. With SMALLab, teachers are able to customize activities through our Resources Service. They can create questions that pertain to their specific lessons, geared specifically for their students. This Spanish 6 class at Providence Day School in Charlotte, North Carolina, uses the Spinner Scenario to help their students learn. There is something about a game that makes us want to try again. "Good games are designed in such a way that the more we fail the more we want to succeed. It’s this dynamic which language learners can tap into," André Klein, 3 Reasons Why Video Games Are Underestimated In Language Learning. The repetition in striving for the best score or beating the clock, strengthens and reinforces the language and drives a student towards mastery. Gamifying the process of language learning through educational technology can easily provide framework for achieving positive student engagement...It is clear that gamification should be an intrinsic part of the undergoing revolution of our classrooms. We live in a world that is changing—and changing quickly. People and goods move around the world with unprecedented ease. The rapid advance of technology means that televisions, computers, and cell phones consume more than seven hours of the average American child’s day. Signs of our digital connectivity are all around us: every month, 100 billion searches are performed on Google. Every two years, the amount of digital information more than doubles. What is novel and revolutionary today is quickly outdated. Today’s college students can enroll in majors that didn't exist a few short years ago in fields like biomedical engineering or nanotechnology. Experts predict that nearly two-thirds of today’s elementary school students will one day hold a job that hasn't been created yet. Deeper learning is not new to education and most accomplished teachers employ these educational practices already. believe their studies are important, and are able to apply what they are learning in complex and meaningful ways. What would this look like in the classroom? Dave Carter, a Geometry teacher at Impact Academy of Arts and Technology talks about two strategies for developing deeper learners: Waiting and Organizing from Education Week. Waiting... This means being patient and let students think about the problem. It’s not about the teacher needing the student to give the correct answer. It’s about the student’s path to discovery. Organizing... How do you get students to engage with the challenge when they don’t get it? SMALLab takes deeper learning to a new level, embedding teaching with technology in a meaningful way that improves instruction, learning and learning outcomes. Students are able to visualize the problems in an interactive space, construct, test and apply concepts bridging their physical experiences with traditional knowledge. Students collaborate on teacher guided challenges, making sense of problems and persevering in solving them. Game play and screen time have often been considered something to be wary of for students, yet 74 percent of teachers report using digital games in the classroom and 55 percent of students play games at least weekly according to a recent survey of teachers conducted by Lori Takeuchi and Sarah Vaala at the Joan Ganz Cooney Center. According to Mind/Shift's Guide to Digital Games + Learning by Jordan Shapiro, there is much controversy over the best practices. The American Academy of Pediatrics (AAP) recommends that children younger than two years old have no screen time at all while older kids should have one to two hours per day of electronic media. They also encourage parents to "establish 'screen-free' zones at home by making sure there are no televisions, computers or video games in children's bedrooms, and by turning off the TV during dinner." Oversimplifying the issue to an on/off situation, creates more problems as "tablets become like junk food, imagined as a temptation that children gravitate to but need to be protected from." "It is only when electronic media is used to occupy children—like a babysitter that provides parents or teachers with an hour or two of peace and quiet—that justifying its use becomes more complicated." Jordan recommends using videos and digital media with great intention. "It is not about employing ed-tech for its own sake... but rather about using tools that engage students toward specific learning objectives." To best leverage the efficiency of digital tools to serve young learners, technology needs to be employed carefully. Not all apps labeled as "educational" have good content. Games and apps are best applied when they combine the lesson with an understanding of the real world, engaging the student to explore, ask questions, and come up with their own theories. A balance between digital games and learning and traditional instruction can enhance a well-worn curriculum. Early education should provide a foundation for critical thinking, including thinking critically about technology and digital media. Hands-on learning or learning by doing has been taking place formally and informally for years, but technology and new tools have helped recreate this style of learning into the ever popular maker movement. There is no question that students learn through embodied cognition with enriching experiences grounded in the body, but how has it changed and what does this mean for students today? Hands-on learning is a total learning experience which enhances a student's ability to think critically. Applying core concepts to real-world challenges, students are encouraged to plan a process to test a hypothesis, put the process in motion, follow through to completion and explain the obtained results. These hands-on lessons have been most traditionally seen in science and engineering classes doing experiments and building things, but how can this creative thinking be applied to other subjects? First, identify the content you need to teach.Start with a simple lesson or unit to get your feet wet. Is it atomic orbitals or the grammatical structure of Mandarin? What specific information and material should students understand deeply through the experience? Second, think about the skills that you want the students to use and practice.Do you want them to develop empathy for the characters in a novel or for abolitionists during the Civil War? You can craft a lesson that allows students to practice and hone these specific skills. To teach close observation in biology, ask students to adopt a tree for the year and visually record how it changes over time. Third think about restrictions or limitations for the project. All creativity needs restraints. It could be as simple as the materials you want students to use. Perhaps you limit them to using recycled materials that they gather. Have them explore the properties of the material before they use it, because you cannot assume that students have making experience. How much can wire bend before it breaks? Successful projects don't have to be high tech -- they can be as simple as paper and colored pencils. Fourth, craft a main question, the simpler the better.Ask math students to create a tool that can measure the height of a flagpole. Make it relevant. Ask world history students to make mandalas that demonstrate their understanding of the eight-fold path in Buddhism. How would you show the "right mind" or right action? For math and science students, how can you measure the water output of a stream? The maker movement mindset can take you past physical manipulatives and into in-depth investigations with ideas that draw meaning and understanding from their experiences. Asking them to express an idea translated into another medium requires them to know something holistically and more deeply. They must understand both its complexities and its parts. It's the same as knowing something well enough to teach it -- you have to understand it completely, as well as how all the different pieces fit together. SMALLab Learning applies the maker mindset through thoughtfully designed scenarios for different subjects and lessons. Beyond the scenarios, consider having your students participate in a design program customized for your curriculum whether it is on game design, animation, or 3D printing! Maker spaces open the doors to new concepts, new ideas, and inspiration. Students are not just sitting and listening, but up out of their seats, collaborating, making, doing and experiencing. Each person has a different perspective that comes together in an embodied and engaging experience that creates a deeper understanding of the lessons making new opportunities for learning. Challenge your students to come up with their own solutions! How are you creatively applying the maker mindset in your classroom? There is no question that schools and classrooms have been changing over the years. For many of us it was a novel idea to have a computer lab with a handful of computers that you would tinker with once a week. Today, students are growing up in a technology-rich environment and are finding it more difficult to pay attention in a passive learning environment copying figures from the board. 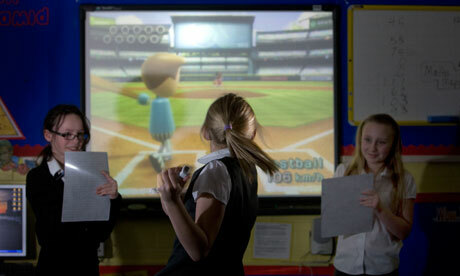 More and more schools are turning to interactive learning to inspire students and keep them engaged in their lessons. Interactive learning is not a new concept. By definition it is a more hands-on, real-world process of relaying information in classrooms. While passive learning relies on listening to teacher lectures or rote memorization of information, figures, or equations, interactive learning invites students to participate in the conversation, through technology or through role-playing group exercises in class. Interactive learning engages students who are raised in hyper-stimulated environments. It sharpens their critical thinking skills which are fundamental to the development of analytic reasoning. Interactive learning teachers children how to collaborate and work successfully in groups, an indispensable skill as workplaces become more team-based structure. These 4th grade students at Blue Ridge School in Dalton, Georgia are working together against the clock to beat their high score. They must all pay attention, talk to one another, and know the information to succeed. Even for the most prestigious institutions of higher education, interactive learning has impacted classrooms and lecture halls. Eric Mazur, Balkanski professor of physics and applied physics at Harvard, discovered his success as a teacher "was a complete illusion, a house of cards." Mazur stumbled on a breakthrough one day as he was reviewing questions with the class. He had spent 10 minutes trying to explain one of the questions to the class twice but they were still confused. He decided to have them discuss it with each other. They started talking to each other in one-on-one conversations and within three minutes, they had figured it out. Interactive learning triples students’ gains in knowledge as measured by conceptual tests and assessments. There’s also better retention of knowledge. Active learners take new information and apply it, rather than merely taking note of it. In a SMALLab, students collaborate and discuss ideas they are learning, formulate hypotheses and test out their theories. 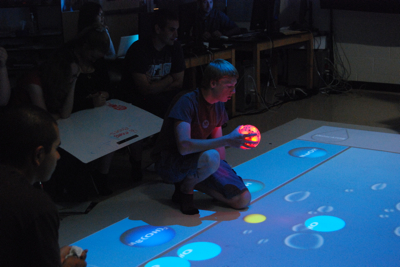 SMALLab scenarios encourage student participation. Lessons become multimodal allowing teachers to use questions that stimulate response and discussion in a hands-on experience. SMALLab lets teachers press for answers, capture and hold the student's attention. 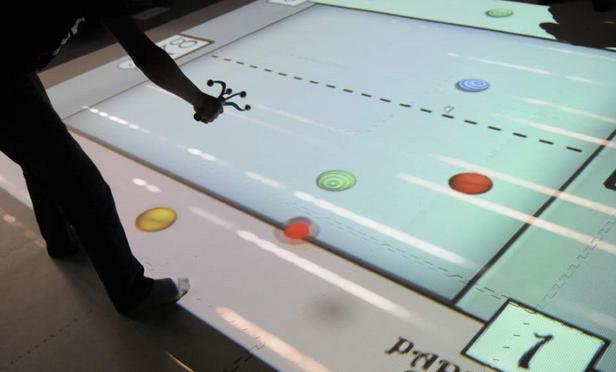 SMALLab provides a space where learners of all types, auditory, visual, and especially kinesthetic can engage and connect with the lessons. Find out more about Embodied Learning and how it can impact your learning goals. SMALLab Learning was founded in 2010 with the mission of advancing embodied learning in schools, museums, and the home. Our products include SMALLab and Flow. In an article for the Washington Post, therapist Angela Hanscom goes to middle school and tries to sit still and focus. This is a follow-up to two popular posts about the problems kids face when they are forced to sit still in school for hours on end without a break or any kind of movement and play. In Angela Hanscom's first article "Why so many kids can't sit still in school today" she discussed how being inactive affects students' ability to stay focused and learn, and in some cases leads to improper diagnoses of Attention Deficit Hyperactivity Disorder or ADHD. Except for brief periods of getting up and switching classrooms, I've been sitting for the past 90 excruciating minutes. I look down at my leg and notice it is bouncing. Great, I think to myself, now I’m fidgeting! I’m doing anything I can to pay attention – even contorting my body into awkward positions to keep from daydreaming. It is useless, I checked out about forty-five minutes ago. I’m no longer registering anything the teacher is saying. I look around the room to see how the children a few decades younger than me are doing. Students more than ever, especially in middle school need to get up out of their seats. It allows them to engage in their learning. They have fun with the lesson and ultimately remember more information and not just to pass their tests. They can develop their own theories and test them in a virtual "lab." In a SMALLab, students use their imagination, get creative and have the opportunity to play while learning. SMALLab is a collaborative where a teacher can ask a question, let the students discuss the topic, and figure out possible solutions together. 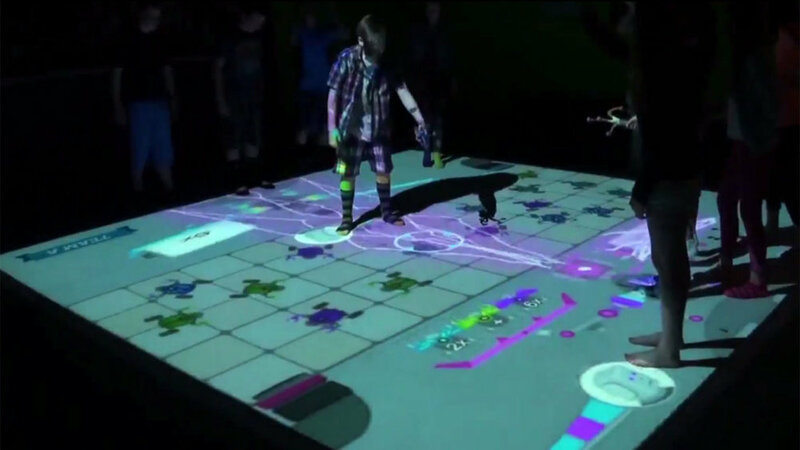 SMALLab brings a variety of experiences to the classroom so students can work together, interact, move and play. Can math and robots teach students about behavior and systems thinking? Through human computer interaction and applied learning sciences, math with the help of some clever engineering and robots comes to life! At the National Museum of Mathematics in Manhattan (known as MoMath), a new exhibit called Robot Swarm is in the final testing before opening on December 14th. A small group of mathematicians, designers and engineers have put together the nation's most technologically ambitious robotics exhibit. Depending on the mode, these robots beneath a 11 x 12 foot glass floor will swarm, skitter and react to whoever is standing on top of the glass. Cameras above sense visitors in the space with the "reflector pod" which then transmit information to the robots moving in accord with a variety of programmed settings determined by visitors working a control panel. Playing with and watching these robots creates an interactive platform that demonstrates the mathematics of emergent behavior. Students begin to understand systems thinking by understanding the roles of the players, the robots, and their relationships. Much like our Particle Predator Scenario, local interactions lead to large-scale organized behavior as seen with predators and prey yet they can be boiled down to mathematical principles understanding how behaviors could have evolved. In our Particle Predator Scenario, students can set the rules that define the interactions between each of the six particles including which particles destroy other particles and which replace other particles. Setting rules and testing theories, students are encouraged to create a balanced and engaging game by manipulating the underlying rules between the particles. Here's a look at the SMALLab games produced by the BrainSTEM team in the fall of 2012 for Elizabeth Forward Middle School. BrainSTEM was an interactive education project with Elizabeth Forward School District to develop immersive, interactive experiences for middle school students using the SMALLab. SMALLab is a unique piece of technology that focuses on embodied learning, which blends learning with human-computer interaction. Embodied learning is collaborative, multimodal, and kinesthetic: by having students interact together in a physical setting, through touch, sight, and sound, they are more likely to remember what they learned long-term. During this project, a team of students worked with the faculty at Elizabeth Forward Middle School to pinpoint areas of learning that students struggle to master and create embodied learning experiences that transform the classroom experience into a fully kinesthetic learning environment. We focused on Math and Language Arts for 6th and 7th grades, creating 3 fully polished and customizable teaching experiences for the classroom. The games we created focused on fractions, the order of operations, and prefix/root/suffix connections and comprehension. Things that shape brain development. Sam Wang, an associate professor at the Department of Molecular Biology and the Princeton Neuroscience Institute. He gives us some insight into how the human brain develops and changes over time, helping us to understand how students learn and develop. Laura Devaney writes for eSchoolNews, September 19, 2012. The human brain is always growing and changing. As a child grows, their brain develops systems for processing information. The brain develops from back to front, generating emotions and core functions like paying attention and self-restraint. 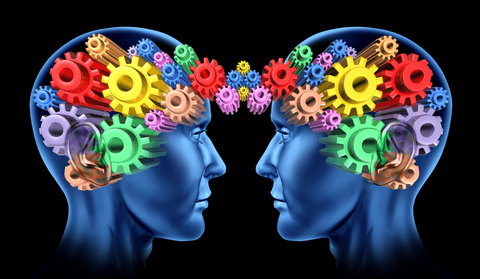 The prefrontal cortex develops last, reaching full maturity when a person reaches his or her 20s or 30s. A student with ADHD has a slower growth in this area of the brain. Half of these children do catch up eventually. One out of 11 kindergarten-age children are held back in an attempt to give them an advantage in the classroom over other children. Children are social learners and they learn from one another and learn through play. “As it turns out, this practice is not helpful for child achievement. … Any advantages disappear by the end of sixth grade,” Wang said. In fact, children who are older for their grade level don’t do quite as well as children who are young for their grade level. Children are social learners, Wang said, and they learn from one another and learn through play. If a child’s peers are slightly more advanced scholastically or emotionally, a child has those peers to learn from and to use as examples. Children who are young for their school year typically have more advanced peers to draw upon and learn from. Myth 3: IQ is the biggest predictor of student achievement. In fact, the ability to show self-restraint at an early age is twice as predictive as IQ, Wang said. Willpower and self-restraint are more important. Myth 4: Learning styles are a good way to guide teaching practice. The brain’s willpower mechanisms are expanded by practice—what brains do often, they do well, Wang said. This includes activities such as brushing your teeth with your non-dominant hand to build up brain circuitry. Students can build up a brain circuit by activating it and doing that specific activity often. The brain improves with practice. Myth 5: Autism is on the rise and is strongly affected by environmental influence. Researchers believe that autism itself is not increasing in rapid numbers, but diagnoses are, owing to better methods of diagnosing autism. Much of autism is more and more being linked to genetics, Wang said. “The recognized rate of autism is going up, but in fact, it is quite possible that the characteristics of children have not changed in the last 20 years,” Wang said, referring to the belief that autism rates are not rising so much as doctors’ ability to diagnose autism is improving. Head of department Ollie Bray is using computer games to get his students excited about learning. Here, he talks about technophobia, teaching and trusting kids with tech. Hannah Gould writing for the Guardian, September 14, 2012. It started with a game like Sims City had students starting at the same point with the same end goal, build a city. Everyone takes a different route of getting there and that was the part of the process that captures and engages the imagination. We'd send home learning tasks and each week during a review session the kids would tell me what they'd learnt. This ranged from improved understandings on pollution and drainage to better insights into local government re-elections. The proof of their learning wasn't just in rich discussion, the class would also share screenshots of what they'd built and we'd have a top city of the week. "Contextual Hubs" for learning is meant to take an available game and it's up to the teacher to create educational potential around it. The learning doesn't come from the game itself but becomes the context for learning. If you think about Guitar Hero, it has no educational value at all, but in the hands of the right teachers, it suddenly becomes a project about music, designing CD cases, marketing the band, there are all kinds of links to it. If you're a teacher who can see the potential in gaming but you aren't confident with technology, what simple pointers could you offer to help introduce it into their classroom? If a teacher can accept they need the children to set up the console for them, the rest will take care of itself. Games are great because they produce data; one example might be Mario and Sonic at the 2012 Olympics for the Wii. After break, you can get the children to turn the console on and play the hurdles, which takes two minutes. You've got children writing down scores and times, and they give this information to the teacher. What they've done is create rich, authentic data in the context of a numeracy lesson. The teacher at no point has come in contact with the technology and just does what they're good at, which is teach the learner. You can feel comfortable in the domain of being a teacher and the children can feel comfortable in the domain of computer games; when these overlap that's when it becomes a really interesting space for learning. You don't have to take a leap out of your comfort zone, it's about taking a little bit of a risk and trusting children with the technology. Games-based learning has allowed teachers to do things differently. Teachers must continue to gain support from their peers across the country and the world, sharing and adapting ideas. It's all about impact in the classroom and I think that's been the most wonderful stuff that's come out of all of this, is that people have permission, to innovate and do things differently. Firstly, we can show them the research which proves it has a positive impact. Secondly, we can put them in touch with other head teachers who have it in their schools. The third thing is to remind head teachers that, actually, what we're talking about is not computer games, it's play. When you get a room full of teachers to play with consoles, they might feel silly at first but they get into it! I'd never say everybody, but with most people, you kind of see this light bulb moment. If you've forgotten what it's like to play and be a child, it's difficult to communicate and therefore it's hard to improve their learning. Many of these teachers are parents themselves but they haven't thought that what they have at home could be useful in schools. It's just about drawing up the dots. Game-based learning has been growing in popularity in recent years as more educational institutions are considering implementing video games in learning. There are still some doubts and from cautious parents as to whether video games can really be used as an educational tool. Chitra Sethi writes for ASME.org, September 2012. Geckman teaches basics of nanotechnology to middle-school students. An explosion in his laboratory has shrunk Harold to nanoscale and flung him to the ceiling. As Harold journeys through strange new worlds, his lab partner, Nikki, helps him to understand nanoscale forces to get back to full size. Harold must find all the pages of his notebook and all the parts of the broken shrinking machine but first he must stop a tiny alien race, the Nanoids, who have been stealing his technology. This might sound like a plot of a science-fiction film, but it is the storyline for Geckoman, an online video game developed by Northeastern University researchers at the Center for High-Rate Nanomanufacturing (CHN), with funding from the National Science Foundation and 15 Days LLC, a company founded by Northeastern alumni and faculty. More and more games are teaching complex subjects such as nanotechnology to middle-school students. Principles and lessons are built into the game, "if done correctly, gaming can be a very powerful teaching tool," says CHN director Ahmed Busnaina. 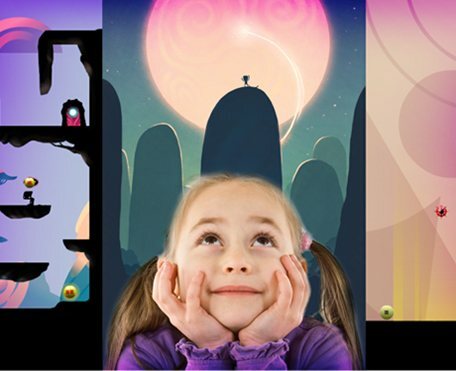 Games allow kids to experiment, explore and solve problems in a virtual environment. "There are certain facts about science that engineers should know but those facts have much more meaning when you use them to solve problems. Video games challenge players with difficult problems and motivate the players to solve problems," says Eric Klopfer, associate professor of education at Massachusetts Institute of Technology (MIT) and director of the MIT Scheller Teacher Education Program (STEP). Video games can enable STEM education from elementary school all the way through college as they teach skills such as analytical thinking, multitasking, strategizing, problem-solving, and team building. “Traditional learning has provided superficial learning through text books. Games are best at teaching a deeper level of learning,” says Klopfer. Busnania says that students have a preference to learn through game play over conventional lecturers and the results of student play tests conducted for Geckoman indicate that they are learning new concepts. The Donahue Institute at the University of Massachusetts did a preliminary evaluation of the game. Three groups of students who played Geckoman were asked to complete content-specific pre-tests before they played the game and post-tests after playing the game. The difference between pre- and post-tests showed that the game was successful in helping students learn the science concepts presented in it. When Olympic swimmer Michael Phelps steps onto a starting block a few days from now, a Stanford scientist named Krishna Shenoy will be asking himself a question: "What's going on in Michael Phelps' brain?" Jon Hamilton writes for NPR, July 19, 2012. Researchers studying brains want to know what's happening in an area called the premotor cortex — the place in the brain that gears up for something the body is about to do, like swimming. 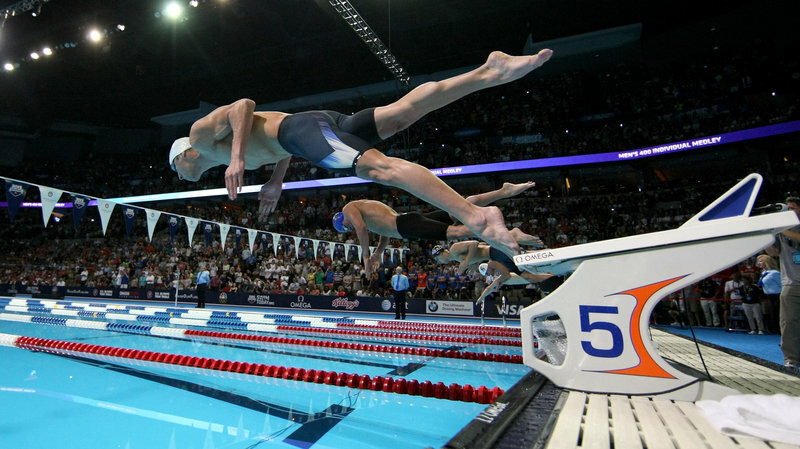 Above, Michael Phelps dives off the starting blocks in the final heat of the men's 400-meter individual medley during the 2012 U.S. Olympic Swimming Team Trials in Omaha, Neb., on June 25. Specifically, Shenoy would like to know what's happening in an area called the premotor cortex. This area doesn't directly tell muscles what to do. But it's the place where the brain gears up for something the body is about to do, like swimming. In recent years, scientists who study the premotor cortex have found evidence that what it does can be quite complex. And a study just published in the journal Science suggests this part of the brain is involved in planning and strategy, and may even reflect a person's personality. The premotor cortex isn't important for involuntary movements, like what we do when we accidentally touch a hot stove, Shenoy says. But it's critical for voluntary movements, especially complicated ones like the moving of your arms and legs in a way that carries you swiftly through the water, he says. The premotor cortex allows us to "consciously visualize a great performance as a way to prepare for an event," says Donald Crammond of the University of Pittsburgh Medical Center. While scientists can only speculate about what' happening to individual brain cells in people, Daniel Moran and Thomas Pearce did an experiment at Washington University in St. Louis and were able to monitor the activity of brain cells in two monkeys playing a virtual reality game. The game offered the monkeys an unobstructed path to the target, or place an obstacle in their way, which required them to think of a way to reach around the obstacle. When the monkeys saw an obstacle, their brain cells began to keep track of much more information, Moran says. Instead of just remembering simple things like which direction to reach, the cells got involved in higher level questions like what the larger goal was and which strategy was most likely to achieve that goal. "The more difficult it got, the more information the neurons would encode," Moran says. That was one important finding. But the study also suggested something remarkable: activity in the premotor cortex reflected each monkey's personality. They found in training that one monkey was clearly more impulsive and a bit hyperactive while the other was more patient and deliberate. "The patient monkey waited until all the information was known to him in order to form a plan," Pearce says. "The impatient monkey on the other hand planned on moving straight to the target as soon as the target showed up on the screen and only later would change his plan if the obstacle got in the way." Based on their personality and preferences through their physical actions and perceptions, the monkeys made decisions about how to achieve their goal. In SMALLab embodied learning environments, students watch peers perform and they then begin to anticipate the time when they must get up and perform the action, when they do this the presumption is they are also activating premotor planning cortical areas. Our content is designed to activate more neuronal sensorimotors areas compared to regular content, without a performative aspect, we hypothesis this is one of the reasons we see such significant gains in learning. T.H.E. Journal recently surveyed principals from across the country to identify the attributes they think a principal who wants to be an effective technology leader should demonstrate. 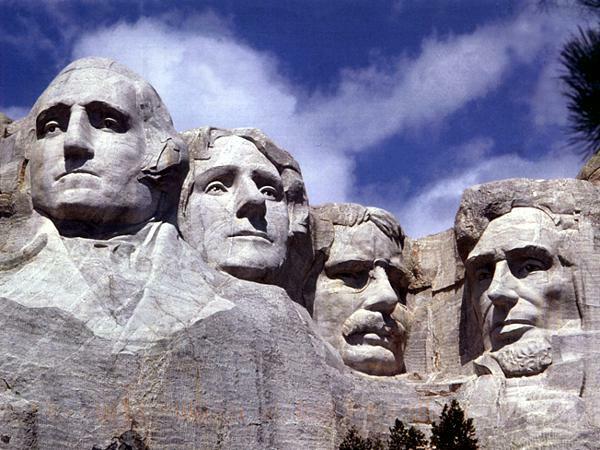 The consensus settled on the seven attributes most frequently mentioned. They constitute our list of "Seven Habits." At the same time, T.H.E. Journal solicited insight into why each of these habits is important from Robert Farrace, senior director of communications and development with the National Association of Secondary School Principals. Jennifer Demeski writes for T.H.E. Journal, June 7, 2012. Farrace: "What we have today are schools that are far more collaborative. We can attribute that in large part to principals who are leading that collaboration in their school. "One of the things we have to teach our students is how to be collaborative, not just with each other, but on a large scale using digital tools," remarks Patrick Larkin. "If the adults in the building aren't collaborating with each other and having these open conversations using tools like Twitter, then it's not going to translate down to our students." Farrace: "It's the principal's job to get everybody in the school involved and invested in a new vision for the school and to demonstrate to them that their input is valued. The two of those feed off of one another. More collaboration contributes to a more solid culture that allows the kind of innovation and vision that all of us are really aspiring to. Great ideas are going to bubble up and sometimes the smartest thing a principal can do is provide support for a teacher with a good idea and then get out of their way and let them do it." Farrace: "Unfortunately, finding the funding for these initiatives is really, really hard. Principals have to become experts at doing more with less...I don't have a formula except to say that principals have gotten very creative about where they find the money." Farrace: "Risks are really just opportunities. When you frame a risk as an opportunity, then, yeah, of course you want to be taking advantage of it. Farrace: "Allow the work to be focused by your vision, because there are a million different things that are crossing the principal's desk every day. What is the stuff that matters? The stuff that matters is the stuff that's really going to contribute to your students' learning." A discussion between James Bennet, editor-in-chief of The Atlantic, with Joel Klein, News Corporation's executive vice president and former chancellor of the New York City Department of Education, offered a realistic assessment of some of the political and practical challenges standing in the way of educational technologies. 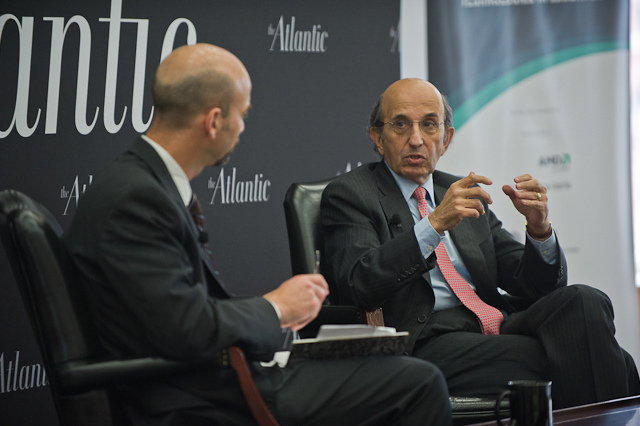 The Atlantic's Technologies in Education Forum on May 22 brought together experts and stakeholders from across sectors for a stimulating, in-depth look at how technology can and should reshape American education. Amy Southerland writes for The Atlantic, May 23, 2012. Brandon Busteed, executive director at Gallup Education, posed a thought-provoking question: "What is the ultimate outcome of an education?" Joel Klein responded that there are many worthy outcomes--not just one. However, the outcome he worries about the most, is the one where we are failing the most. We must ensure that students "have the skills and knowledge to be effective players in the 21st century." Paula Kerger, CEO of PBS, pointed out that employers are demanding an array of skills not taught in classrooms and once a child starts behind, they stay behind. Without early education, students are not prepared for what the workplace of the future will require. Microsoft's Andrea Taylor and Linda Rosen, CEO of Change the Equation, both spoke to the mismatch between the large number fo STEM jobs available and the small pool of college graduates with STEM degrees. As a nation, we aren't cultivating the STEM workers we need to be competitive in the the global marketplace. Though there are ample job opportunities, when young people don't consider STEM careers, there is a disconnect between supply and demand. New technologies can help empower educators to better prepare our students by increasing student engagement and allowing for individualized learning. Larry Irving, founder of the Internet Innovation Alliance, called technology "the great equalizer." In a panel discussing the role teachers will play in game-based learning, Dr. Jeanne Paratore, professor in the Department of Curriculum and Teaching at Boston University, said that for students who are struggling, "we have power in these games to provide opportunities that aren't there." And Robert Torres, senior program officer at the Bill & Melinda Gates Foundation, recognized the unique potential of using games that combine high engagement with high cognitive demand to help students achieve mastery using technologies day-to-day. We have the technology at our fingertips and transformative change is right around the corner. When used effectively, technology plays an important role in enhancing the learning process, engaging students... Even with all of the benefits of technology in the classroom, however, educators must use caution to ensure that students are focusing on the lesson and not giving in to distractions. Jeff Dunn writes for Eduemic, May 5, 2012. 1. Encourage direct engagement. One of the benefits of technology is that students can interact with and learn from lesson materials directly rather than waiting for a passive transfer of information. This hands-on approach to learning helps recall of key ideas. 2. Ask for more particpation. Technology has made in-class participation easier than ever. With tools like Flow using Kinect-type technology, teachers can encourage even students who do not normally participate in class discussions to share their opinions. Rather than distracting students, used this way, technology gives them a reason to focus and think deeply about what they are learning. 3. Delve into a topic. Students learn better when they are more engaged with the material and are encouraged to make it their own. Teachers can assign students to complete technology-based projects, including making presentations, analyzing data, and sharing ideas. Technology in the classroom makes this type of learning both easier and faster. 4. Make use of online resources in class. The great thing about the internet is that there is a whole host of information out there about almost everything. Teachers can find webinars, videos, podcasts, photos, and industry information about topics that students are interested in and present them in class. Have students prepare for an upcoming lesson or activity by allowing them to research the topic beforehand using the internet. Teachers can take the opportunity to discuss where to find reliable information online as well as how to synthesize that information into a usable format. When presenting the lesson in class, the students will be more prepared to answer questions and delve deeply into the topic. Older students, especially, appreciate learning about real-life situations and current events. Instructors can encourage students to use technology to research current stock market trends, for example, or to find out information about political campaigns. This knowledge can then be applied to topics that students are studying in class to show them how what they are learning in school has use in a broader context. 7. Review what they've learned. Technology can also be used as a way that students can review and remember what they have learned over the course of a semester or other period of time. Students may record a video of themselves, for example, listing key facts about a particular subject or explaining that topic to other students. The recitation of these ideas helps students to process what they have learned. Of course, technology only enhances what excellent instructors do already by giving students increased access to learning materials that support what is happening in the classroom. When technology takes this supporting role in education, students are not distracted, but rather intensely focused on what they are learning. How have you used technology in your classroom to increase learning? What strategies do you employ to make sure that students are paying attention when technology is being used?